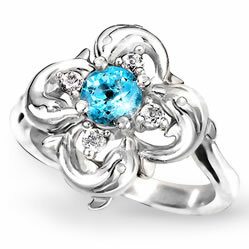 Accented with a genuine blue topaz, a perfect fashion accessory to brighten up your everyday. 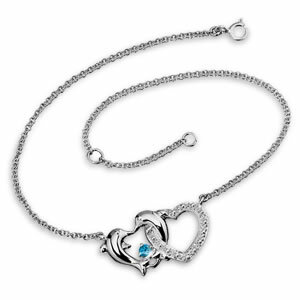 A delightful vision of sterling silver dolphins playfully leaping in a sparkling design of interlocking hearts. Designer Marjorie Andes has created this enchanting anklet. Adjustable from 9” to 10”.